This young man stands at 5’7, and weighs about 145lb. He’s not over the top muscular, but he sports a pretty toned body, despite his pretty inactive lifestyle. Shaggy, jet black hair frames a pair of mismatched eyes. His heterochromia is the same as his twin’s, with the left eye being a silver-blue color, and the right being a crimson red. With smooth, porcelain skin, he has a light-skinned complexion, and a tiny beauty mark at the corner of his right eye. Being the studious type of guy that he is, his attire reflects that. Dressed in ‘smart’ outfits similar to school uniforms, or what one might consider casual professional. The closest he gets to actual casual wear is a button-up shirt and a pair of slacks. The only exception is when going to the beach, to which he wears a pair of cargo shorts and a t-shirt. In battle, Fayt sports an outfit more befitting his fighting type. Though his attire still holds that academic feel and taste, it’s made of thick, enchanted leather and fabric. Navy blues and blacks are the color themes for his attire. Destinie and Fayt were very much mirror images of one another when it came to personalities as toddlers. They were straight-faced, calm, and very intelligent for their age. There wasn’t a single thing that they didn’t do together. Always connected by hand. Completing each other’s sentences. Growing extremely irate when forced to be without the other for extended periods of time. After a period of growth took place, the two began to individualize and become their own people. They were able to part from one another, but Fayt remained widely the same. Calm, collected, and intelligent, he spent much of his time ‘supervising’ his twin and wrapping himself up in his studies. Always with a book on hand, there isn’t a book in the Darkson library at least once… or twice. He’s a strategist with an answer for everything. Being that he had his nose buried in a book a good majority of the time, Fayt doesn’t have many friends. That doesn’t mean that he isn’t sociable, and spends a good amount of time with family in in of their many frequent events. Due to that, he has a contingency plan for just about everything. 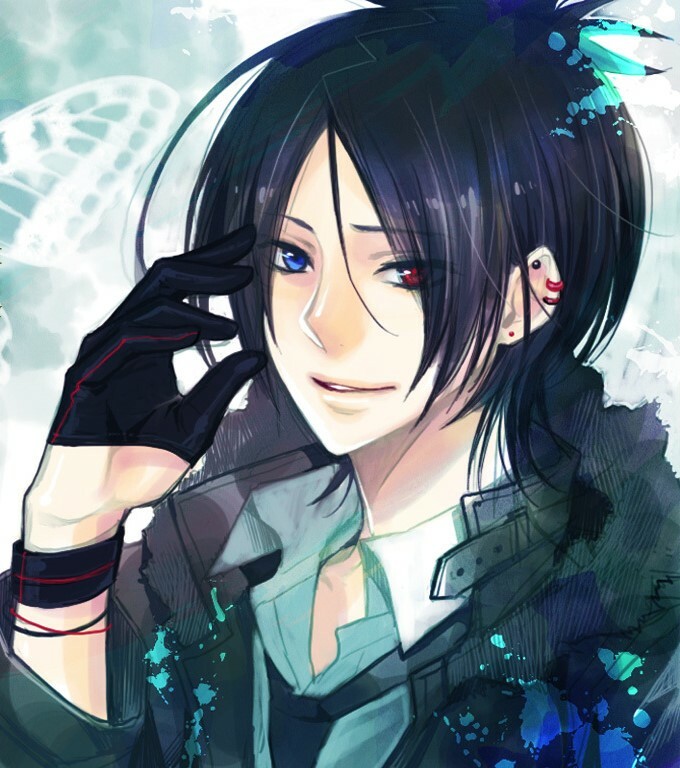 Fayt grew up in a loving home, alongside his twin Destinie, and their older brother Arthur. The three were never left wanting, and would have been very spoiled if their mother, Tsumiko, had her way. Gwain, their father, seen to it that they were raised proper and with that Darkson touch. When it was seen that Fayt was proficient in magic, it was decided that he would train in the art with his mother. Though, being the capable young man that he is, Fayt wished to be able to utilize more than just magic. And so he sought out his Aunt Lily, and trained in gunplay. That way, he could remain on the backlines of a fight and operate as both a long-range fighter and strategist while Destinie takes the front lines. The two worked together on missions and quests, doing to with an incredible fluidity that they may as well have been one person. He entered into the Darkson Cup under his parents’ suggestion that was held not all that long ago, if only to test Destinie in her advancement after having trained under Veara. It was quite noteworthy just how much progress she had made, and so, the young man had admitted defeat, surrendering shortly after he learned what he wanted to know. Upon entering the Academy, which he did surprisingly eagerly, Fayt quick to set to work and further his already extensive education. What his peers didn’t need to know, however, was that a lot of what he knows was self-taught.